Get your tickets to Targeted: Exposing the Gun Control Agenda, a powerful new documentary playing in nearly a dozen Wisconsin theaters on Thursday, 9/29/16. The documentary looks to blow the doors off the lies of the anti-gun movement, exposing the true purpose of gun control: People control. This is no news to gun owners, who have literally been targeted for decades for disarmament. What is especially encouraging, though, is that the producers are taking the truth about the issue into nationwide theaters where people often only see guns vilified or portrayed in made-for-Hollywood scenes glorifying violence. It’s a chance for the truth to get out to a wider audience. Please make sure to attend this one-night event with gun owners from all across Wisconsin and the U.S. — invite your friends, family and especially anyone who’s “on the fence” to learn the truth about gun owners and the so-called gun control agenda. 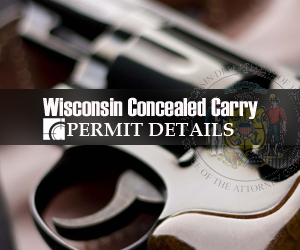 Wisconsin Gun Owners (WGO) is proud to support this hard-hitting documentary, which is playing in Appleton, Ashwaubenon, Eau Claire, Hudson, Oshkosh, Lacrosse, Manitowoc, Menomonee Falls, Mequon, Madison, New Berlin, Oak Creek, Rothschild, Sheboygan, Sturtevant and Waukesha. P.S. 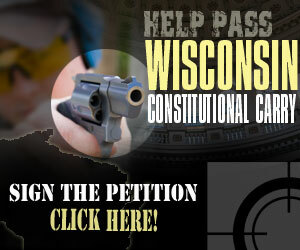 — Click here to get your tickets to this important pro-gun event.